e-nventory® is an stock monitoring system that uses weighing scales to continuously transmit the status of all storage places to a server. 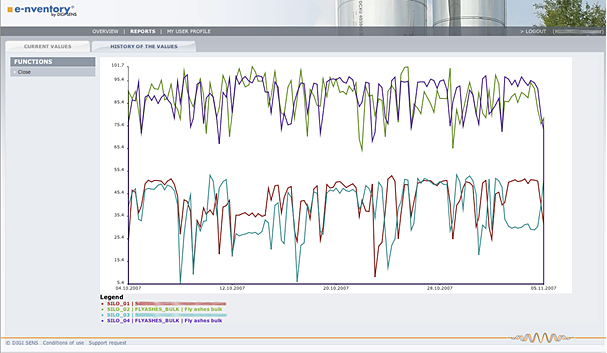 These data are available to you via a securely encoded interface for your ERP or WMS system. 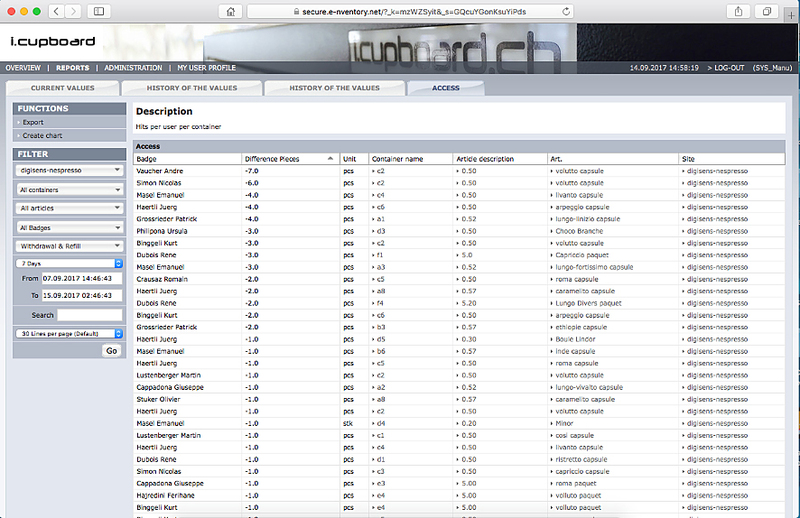 inventory status data can be passed on to selected suppliers, logistics service providers and customers. Up-to-date inventory status enhances your production, simplifies your purchasing processes and supports your finance department. between 'shelf-huggers' and fast movers. Stock management methods based on booking have the disadvantage that errors accumulate until the next inventory takes place. In order to avoid missing parts and the consequent production downtimes, over-stocking is the only answer. With e-nventory® this anxiety situation can be avoided. More transparency means greater reliability. If salespeople already know what the customer needs when making a visit or a phone call, they can use their time to give advice and identify new needs, and can strengthen and expand the relationship instead of just dealing with the business of the day. In marketing, too, the system enables service offers to be optimized by better typicifation of customers. What are the costs of express deliveries and half-empty transports? As oil prices rise and road tolls and other traffic-related charges increase, transport gets more expensive and takes up employees' time unnecessarily. With e-nventory® you always know what your customers need, so you can avoid express deliveries and optimize your trips. 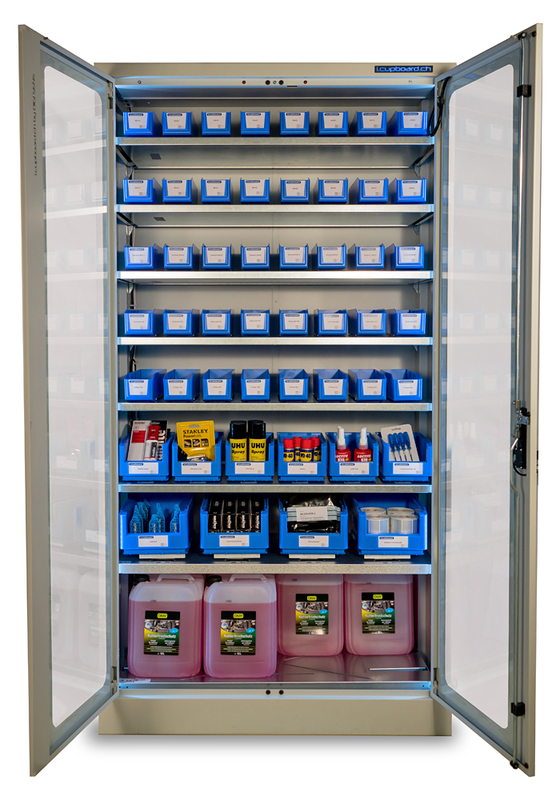 All shelves are equipped with the unique DIGI SENS weighing technology that continuously records every removal and filling process. 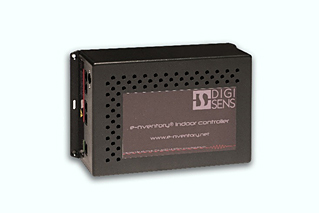 The controller has a web-interface which lets the user configure it and display scales information. 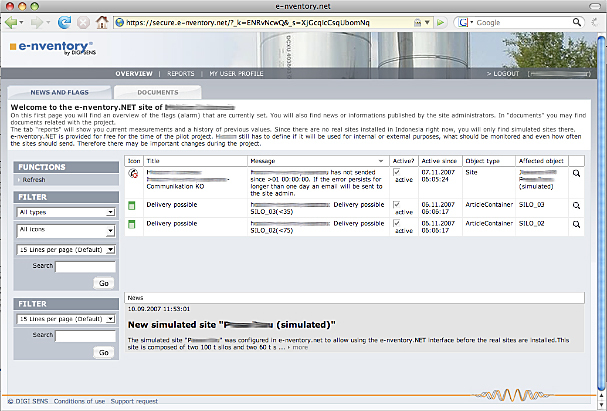 The scale configuration is downloaded from the e-nventory® server automatically. The main functionality of the device is to collect the weight of the connected scales and transmit these data to the cloud application. The controller can be mounted on a rack with the two wall flaps. It may be delivered with a GSM modem as well. Thanks to its great flexibility, the system is ready for use at once without additional effort or expense. It can however be adjusted to your application and your corporate identity, thus becoming part of your solution. 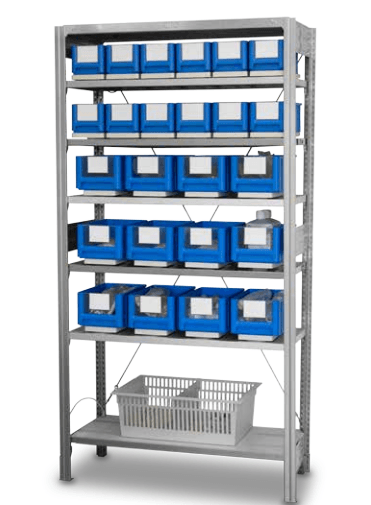 The i.cupboard is the ideal solution for combining an open shelf system like the e-nventory® with a high-transparency dispensing system. The inventory recording function uses weighing scales to continually ascertain stocks in all the storage places and sends this information to a cloud application. 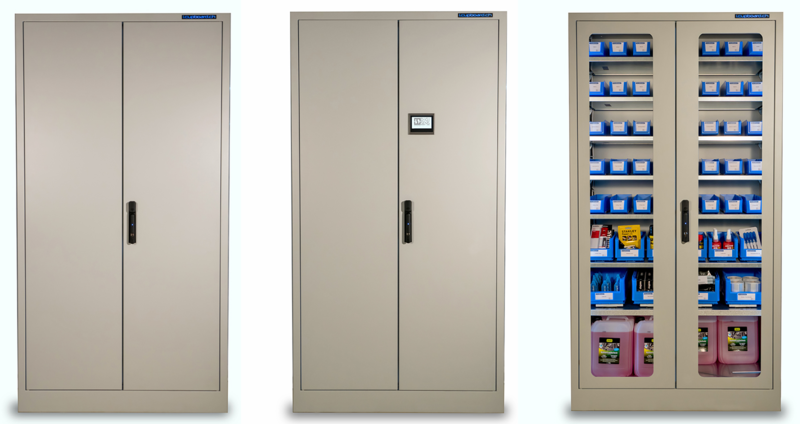 With i.cupboard you can monitor up to 104 different articles per cupboard. Control all stocks, re-ordering and access authorization centrally and comfortably from your computer. You can obtain a complete overview of all cupboard activities at all times – even in other locations. i.cupboard with touch screen for entering cost center, customer order, project, patient number, etc. Our experience has shown us that when i.cupboard is introduced, warehouse stocks can be reduced by 50% or even by as much as 75%, without any loss of supply reliability. This is due to the good flow of information and the clearer distinction between 'shelf-huggers' and fast movers. Another saver: Access control with RFID badges makes the removal of materials transparent. This reduces material losses within a very short time. Inventory methods based on booking have the disadvantage that errors accumulate until the next inventory takes place. In order to avoid missing parts and the consequent production downtimes, over-stocking is the only answer. With i.cupboard this anxiety situation can be avoided. More transparency means greater reliability. What are the costs of express deliveries and half-empty transports? As oil prices rise and road tolls and other traffic-related charges increase, transport gets more expensive and takes up employees' time unnecessarily. With i.cupboard you always know what your customers need, so you can avoid express deliveries and optimize your trips.